Bliss is the #1 Wedding & Event Planning Company in the South and is creating tons of flawless celebrations. From inspirational boards to behind the scenes real weddings, this blog is one of our new favs. 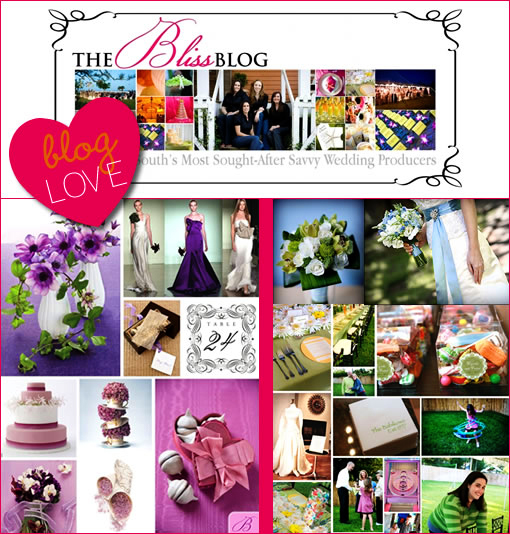 We are sending out some blog love to the ladies at Bliss Event Group, who has recently been added to our, “blog love.” section. We suggest you visit these ladies for some wedding tips and tricks.